It’s common knowledge that fiber-rich foods like beans and lentils cause gas. However, passing gas could be a sign that your gut microbes are keeping you healthy. It’s common knowledge that fiber-rich foods like beans and lentils cause gas. However, passing gas could be a sign that your gut microbes are keeping you healthy. As microbes feed on fiber and make gas, they produce short-chain fatty acids, which promote the growth of beneficial bacteria that have been linked to weight loss. Here, six great gas-inducing foods to eat now. Ready in just 10 minutes, this healthy salad features a tangy lemon dressing. Nutrient-rich baby bok choy pairs perfectly with creamy peanut sauce. This simple, crunchy salad features both Savoy and red cabbage, plus chicken and ramen noodles. F&W Chef-in-Residence Andrew Zimmern upgrades the standard kale salad by adding pistachios, sesame seeds and a bright miso dressing. 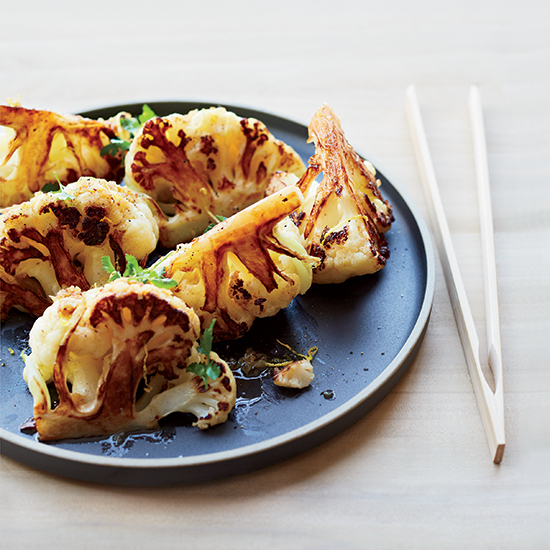 Pan-seared cauliflower is dressed with garlic and anchovies in this stellar side dish. A mix of hot sauce and chile powder adds delicious heat to fiber-rich black beans.